How To: Show Battery Percentage Indicator On iPhone – iPhone’s battery runs out quite quickly when running different apps and usage. Having a percentage indicator for the battery icon on the top right corner of the screen gives you better indication on how much battery you have left and give you a guide of when it will be running out and when to charge your iPhone. By default, the percentage indicator is not turn on and you have to turn it on in the Setting. 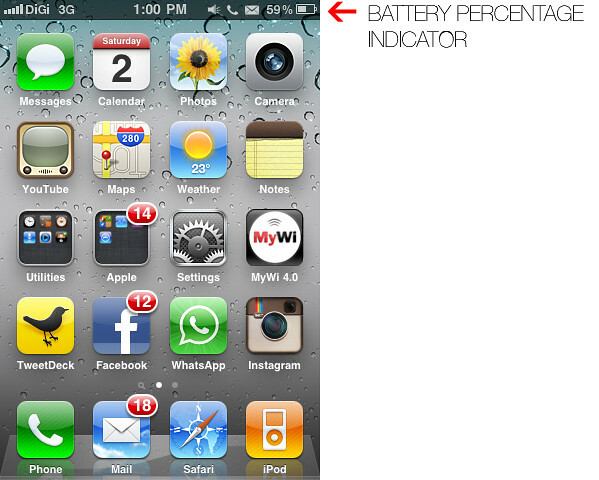 Here’s HOW you can turn on the percentage indicator for your iPhone. 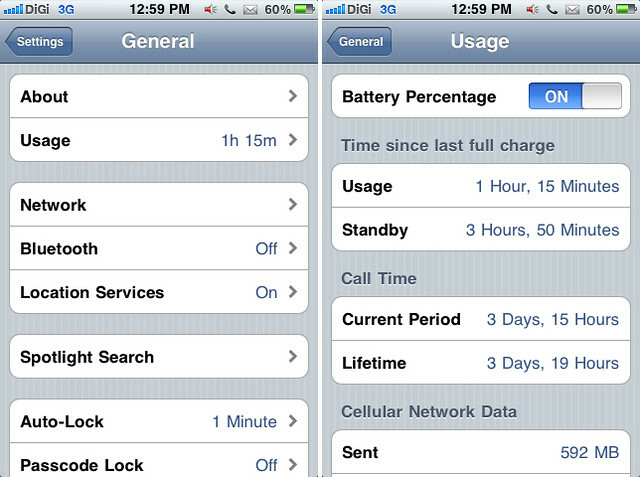 Go to Setting, then click General, look for Usage, and turn on for Battery Percentage.